Detective inspector Harty and his partner, detective sergeant Tully, investigate their second major case together in the fictional English rural area of West Town. 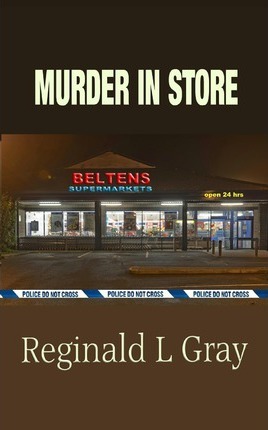 The murders of shop staff at the local supermarket, with no obvious motive and too few clues, give considerable cause for concern not least because of the short time between killings. The police are very aware that answers must be found quickly but are hampered by the lack of evidence and too many suspects. After several false trails and conflicting reports a piece of unexpected information eventually puts the two detectives on the path to the solution. This is the second story in the detective inspector Harty series, the first story being DEATH ON ROUTE 37. The author is a retired Management Accountant and Computer Manager. He has been happily married for over 60 years and has a large, loving family. After a busy working life he now finds writing novels and using computers a great way to relax.